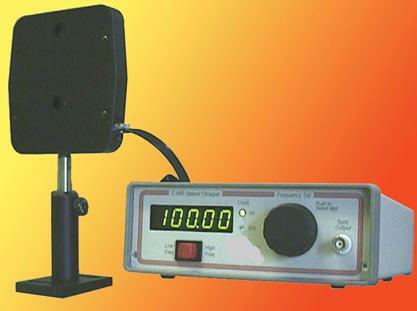 The C-995 Optical Chopper is a general purpose optical chopper designed for laboratory use. Equipped with a large five-digit LED readout, the C-995 controller enables digital entry of the desired chopping rate directly from the front panel. Additionally the C-995 is equipped with a bi-directional Rs-232 port that equips the user to set the desired chopping rate to a resolution of .001 Hz and to read the status of the instrument. The chopper is backed by a standard two year limited warranty.